Google’s director of product manager for hardware Matt Vokoun revealed the details about the Google Pixel Slate. The Slate is a tablet that competes against the iPad Pro and Surface Pro directly. 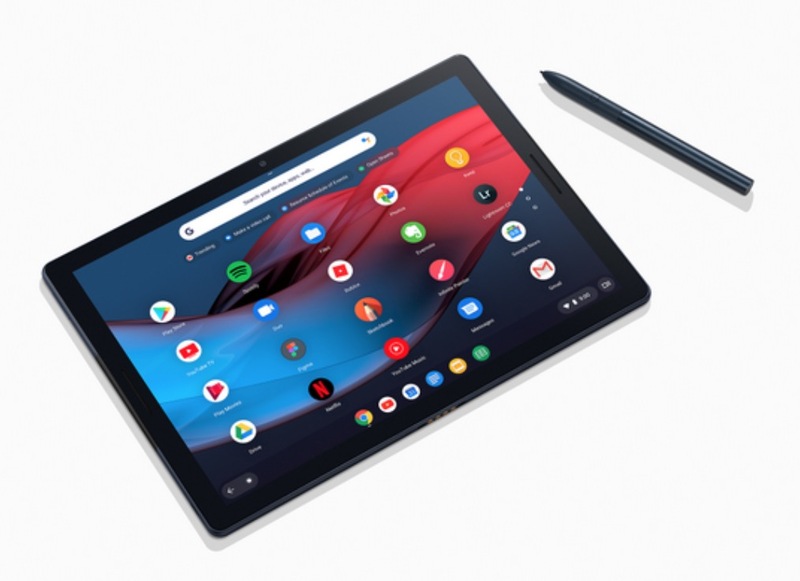 “Google Pixel Slate is designed to entertain and help you do more in a fresh, mobile form. We combined a touch-first user interface, optimized Android apps and powerful desktop-style features in Chrome OS to deliver a no-compromise device,” said Vokoun. The Pixel Slate was designed with rounded edges and curved 2.5D glass. It is 7mm thin and has a weight of 1.6 pounds. The 12.3-inch display on the Slate is coined as Molecular Display, which is 293 pixels per inch. In terms of sound, the Pixel Slate has dual front-firing speakers that is tuned algorithmically for clear highs and lows. On the front and rear of the device are 8-megapixel cameras. And the front-facing Duo Cam has an extra-wide field of view with low light performance support. Plus you can take superb photos using portrait mode, which uses on-device machine learning. The battery life is 12 hours based on mixed usage. So you should be able to use it throughout the day without having to constantly recharge it. You can run the new version of Chrome OS on the device or Linux if you are a developer. And Google Assistant is built-in along with a new launcher, machine learning-generated suggestions for apps you use the most. And it supports multitasking tools like split screen. There are digital wellness features like Night Light and Do Not Disturb built into the Google Pixel Slate. And with Family Link, you can set up rules for your family such as time limits. Another noteworthy feature is the Titan security chip, which is an extra layer of protection built into the Pixel Slate. The Titan security chip ensures that information, device passwords, and the operating system is protected on your device. And the Pixel Imprint power button also works as a fingerprint sensor. Some of the additional specifications include the 8th-generation Intel Core i7 processor, 16GB RAM, and 256GB storage. Note that the Pixel Slate does not have a headphone jack. Some of the accessories you can use with the Google Pixel Slate and the Pixelbook Pen. The Pixel Slate Keyboard — which is a full-size backlit keyboard with quiet Hush Keys and a dedicated Google Assistant key. The folio is adjustable so you can work at any angle. And it doubles as a slim protective case. And the Pixelbook Pen (launched last year) now comes in a Midnight Blue color. Google says that the Pixelbook Pen had the lowest latency of any other digital pen on the market. The price of the Pixel Slate starts at $599 and it goes up to $1,599 for the top-of-the-line version. And you can buy the Pixel Slate Keyboard for $199 and the Pixelbook Pen for $99.